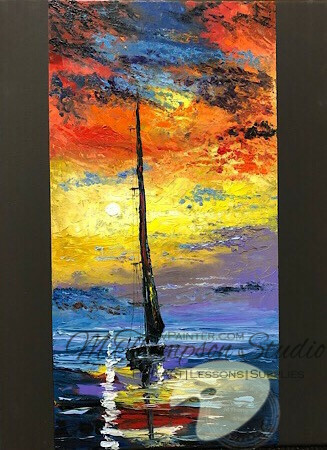 Floating on serenity at the end of the day, this painting not only has strong color but has thick layers of color. Created entirely with the palette knife, it is a true inspiration of bold colors. on serenity at the end of the day, this painting not only has strong color but has thick layers of color. Created entirely with the palette knife, it is a true inspiration of bold colors.